One of the great Seinfeld moments features Kramer unexpectedly taking a call informing him the American minimum wage has increased. This is welcome news to Kramer, who announces he has been on strike for the past 12 years. Upon receiving the call, he promptly returns to H&H Bagels and starts up work again. I was thinking about this episode over the past week because industrial action seems to be flavour of the month. In Australia, pilots and engineers employed by Qantas have either threatened to or gone on strike over inadequate pay rises. In the UK, public sector unions are encouraging their members to strike due to the Government’s plans to raise the retirement age. In New Zealand, 900 workers at a Fisher and Paykel Healthcare plant are planning to strike. I’m fairly sure Lindsay Lohan will soon go on strike until someone returns her dignity. Clearly, industrial action against your employer is something of a common occurrence in the western world. Yet to some people (i.e. me), it’s a completely foreign concept. In fact, the thought of going on strike has never, ever crossed my mind. As someone who has no affiliation with (and often a subdued resentment of) trade unions, industrial action is a complete mystery. It also seems the main reason people strike is because they believe they’re entitled to ‘more’. More money, more time off, more benefits. More! As such, strikes seem to have an underlying notion of enormous hubris. The attitude of strikers come across as, ‘We’re the most important people in the universe, so give us what we want, or else!” This is even more apparent given the weird demands some people have. For example, NSW, as we all know, is in a massive amount of fiscal trouble. 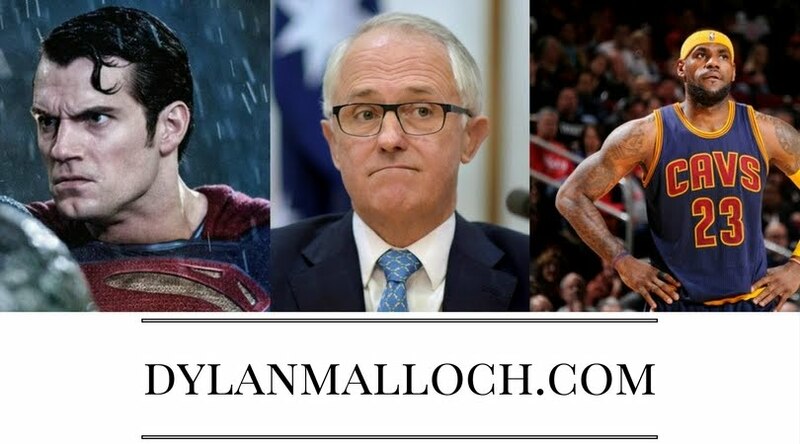 The former Government had completely screwed the state’s economy worse than Charlie Sheen destroyed his acting career and the O’Farrell Government had little choice but to make cuts somewhere… anywhere! So, the Government introduced legislation capping public service wage increases across a number of sectors to a maximum of 2.5% per year. 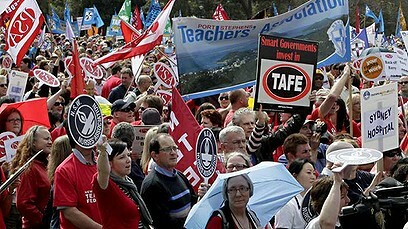 The result was 30,000 teachers, public servants, police officers, firefighters and nurses going on strike. Whoa! I have no idea whether the legislation is actually fair or not, but surely that’s not the point. The point is that 30,000 people thought they were so entitled to more money and decided to not show up for work as a result. Amazing! Unions will often make the argument that industrial action is all in the pursuit of ‘fairness’, but fairness seems to be something of a relative term. This may be a straw-man example, but in many countries workers don’t get weekends or holidays. They get paid so little they can’t afford to eat. And in many countries, the under-class are treated inhumanely and beaten while they work. Yes – you could say these conditions are, unequivocally, unfair. Yet, here in Australia, people getting a capped pay-RISE (capital letters for emphasis – you’re damn right I went there) seems to be enough reason to appeal against injustice. Yes, there’s something wrong with this picture. Furthermore, aren’t these people scared they’ll get fired? I mean, you have to feel reasonably secure in your employment to not turn up for work simply because, in your opinion, your boss isn’t paying you enough! I suppose union members often have industrial action allowance clauses in their contracts – which itself is a little mind-boggling. Imagine signing someone to work for you and having to acknowledge that, if they’re angry with you, you have to allow a certain number of days on which they can go on strike. So that’s my question – how do people justify going on strike? I certainly can’t imagine doing it, but it seems there are plenty of others who can. 20 years ago I was settling a strike with the TWU. Their final demand was to be paid for the days on which they were on strike. This was not uncommon back then. Sometimes striking is justified, most of the time it isn't. Strikes are opportunities for perks.